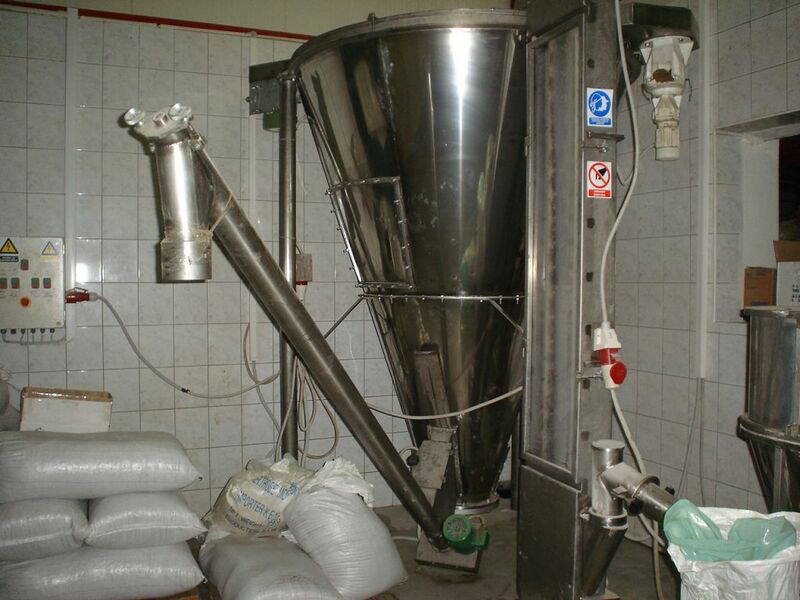 Mixer MB-80 for pulvis | Herbas d.o.o. Mixer type MB-80 is designed for uniformation or homogenization of different types and fractions of materials throughout the whole batch. Charging can be done through a door or opening in the ceiling of mixer. On the side of the hopper there is an opening for discharge and packing bags of herb mixtures. Drive of Mixer screw is made through the motor reducer. 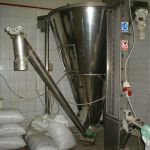 Duration of mixing depends on the required homogeneity of mass or other technological requirements. Discharge is possible during operation of the machine by opening the flap on the discharge opening. Color – RAL 9002 or other according to customer demand.